Performs other duties as assigned and requested by the Kimochi Home Administrator. Mathematics: Using mathematics to keep track of spreadsheets, budgets, contracts, personnel, and clients for continual operation of the facility. Speaking: Communicating with others to convey information effectively. 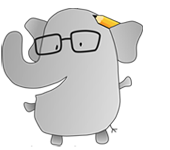 Writing: Maintain written correspondences, documentation, reports and logs. Reading Comprehension: Reading and understanding written sentences and paragraphs related to work and safety rules, procedures, instructions and operating equipment. Organization: Maintaining order by planning work activities and schedules in an organized manner. Lift, push, pull, or carry objects. Follow instructions and work procedures. Work independently to perform and complete job functions. Effectively lead and motivate staff under his/her direction. Develop cooperative working relationships with others. Interact with diverse individuals at all levels within the organization and members of the public, including senior citizens, volunteers and employees. Must have or be able to obtain a RCFE Administrator certificate within 6 months of employment. Bilingual and literate in Japanese and English preferred. Good interpersonal and problem solving skills and common sense. Computer knowledge and skills- Word, Excel, Databases, and developing forms, etc. Masters degree in social welfare, gerontology, business, health related fields, or any social science preferred. Extensive qualifying experience in direct services delivery and supervision may be substituted for college work. Minimum three years experience in direct services and supervision.